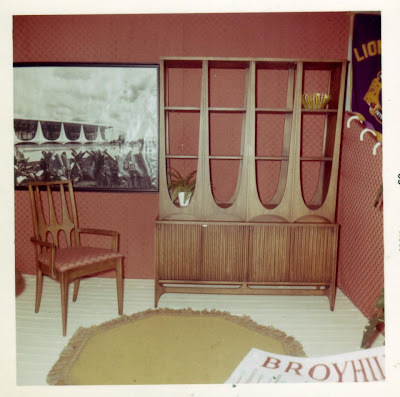 Broyhill Brasilia furniture debuted at the Seattle World's Fair in 1962. The signature lines and waves of Brasilia furniture were inspired by the distinct architecture of the city of Brasilia (capital of Brazil). Anyone who’s a mid-century furniture fan has probably seen and drooled over the Brasilia line. 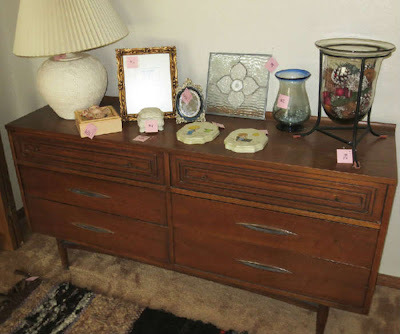 The Brasilia Connection is the go-to source for all things Broyhilll Brasilia, including finding Broyhill Brasilia for sale. This time on Vintage Views, we talk with Arthur Friedman, owner of Brasilia Connection. 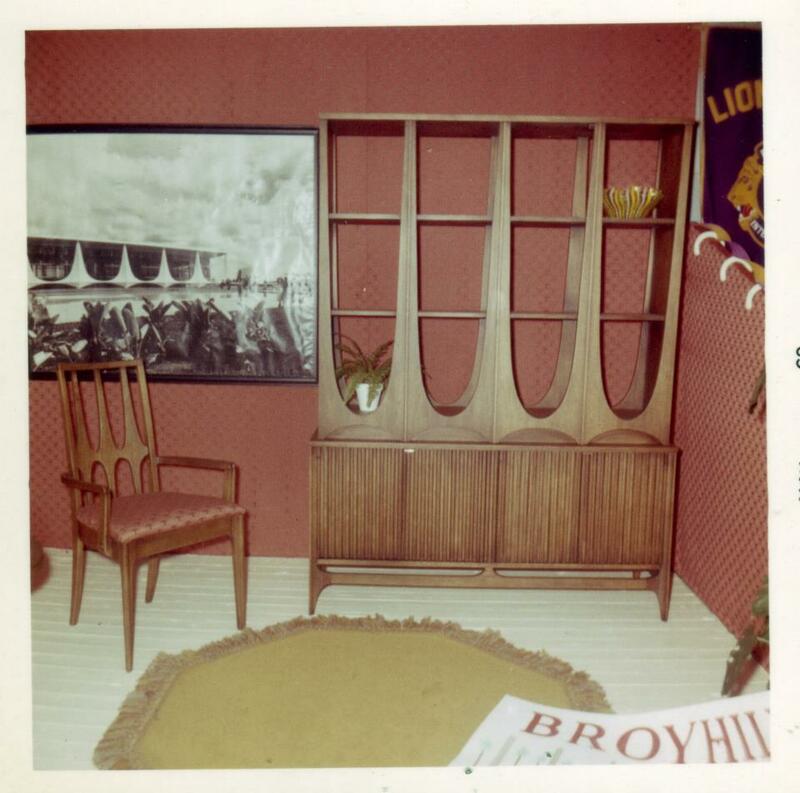 First public viewing of Broyhill Brasilia at the '62 World's Fair. All images courtesy of Brasilia Connection. Tell us a little about the Brasilia Connection. How do you get started selling mid-century furniture and how did you come to focus on Broyhill Brasilia? My wife Bonnie and I were married in 1965 and lived in Alexandria Virginia. We went furniture shopping and came across Brasilia at Hopkins Furniture in Old Town Alexandria and knew it was what we wanted. Brasilia was sold by the piece so we were able to purchase a couple of pieces, including a Brasilia king headboard. 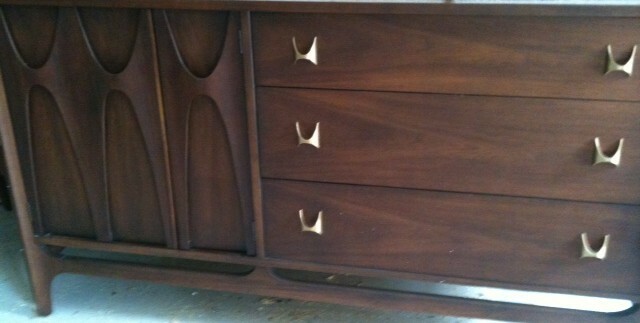 We picked up some other pieces, the last one being a Brasilia desk. Shortly afterward I received orders for Vietnam and we decided that we could not afford to keep the desk and so Hopkins graciously took it back. That was a decision we came to regret as by the time I returned. Brasilia was being discontinued and we would not find another desk for nearly 30 years. In the late 90s with the advent of eBay I came across a Brasilia desk and the rest is history. Over the next few years added other pieces we wanted. Most Brasilia was being sold in sets and we kept the additional pieces for a home we intended to buy in Florida. 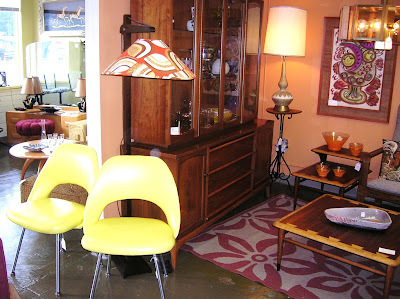 By the time we purchased it, we had enough Brasilia furniture to make a carbon copy of our Virginia home. With a garage full of Brasilia we decided that we had to sell some of the excess and that was the beginning of the Brasilia Connection. We were selling individual pieces and we found there was quite a demand from folks who were looking to add pieces they could never find. We also found there was a big demand for chairs and table leaves to expand dining. Up to this point we only sold excess pieces as received. Then we got in the buffet hutch that someone had shellacked. It was awful. We decided it had to be refinished and that was our foray into restoring Brasilia. 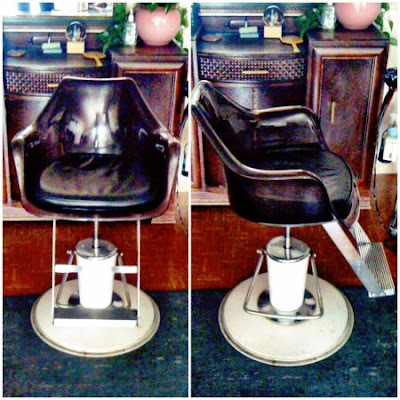 It came out beautiful and from that point on everything we sold was restored to its original beauty. We have gotten pieces in that at first glance appeared beyond repair, but we have always been able to restore them. Over the years we have perfected our techniques and all of our pieces are as close to original as possible. Braisila furniture is over 50 years old, but it seems to be only gaining in popularity. Have you seen the same trend? The popularity of Broyhill Brasilia is soaring. We’ve been buying and selling for about 12 years and until a couple years ago we sold mostly to folks that already had Brasilia and were looking to add a piece or two. Now we sell entire dining rooms or bedrooms; its popularity has just exploded. 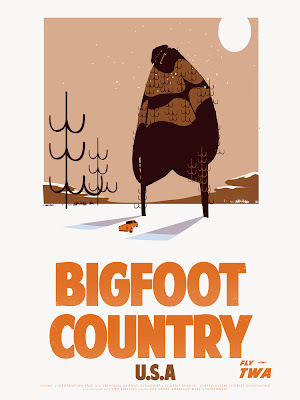 We think this is due to the resurgence of mid-century modern in general. Brasilia has also been seen in some Mad Men episodes as well as some movies during the past couple of years. We see no end in sight and would suggest anyone who wants to add to or start a collection move forward now before prices rise even more. There are still bargains to be had in thrift shops and other similar sources, but the condition may not be great. We try to price the Brasilia pieces we have for sale fairly, and we’re often lower than other sellers, but we are paying more and more so our prices have to rise as well. With focusing on one line, I would think inventory is hard to come by and keep in stock. How many pieces do you typically have on hand? Although it varies and changes constantly we typically have ten to fifteen unique pieces plus lots of chairs in all styles. And how often do you get new items in? We get new pieces at least several times a month. We purchase from all over the eastern US. People also contact us through the website and our eBay listings. Because we pay dealer prices we encourage them to try a local sale and get back to us if they’re unsuccessful. About 75% of the time they come back. We also look for pieces on Craigslist and even eBay if we see a good buy. If we don't have a Brasilia piece that someone is looking for we let them know the likelihood of getting it in the near future. We keep a want list at all times and notify folks when we get what they’re looking for. Of course, some pieces are more popular and available than others. The most popular are the Brasilia door chest, which we get frequently, and the magna dresser, which only comes in once or twice a year. What do you love most about the Brasilia line? 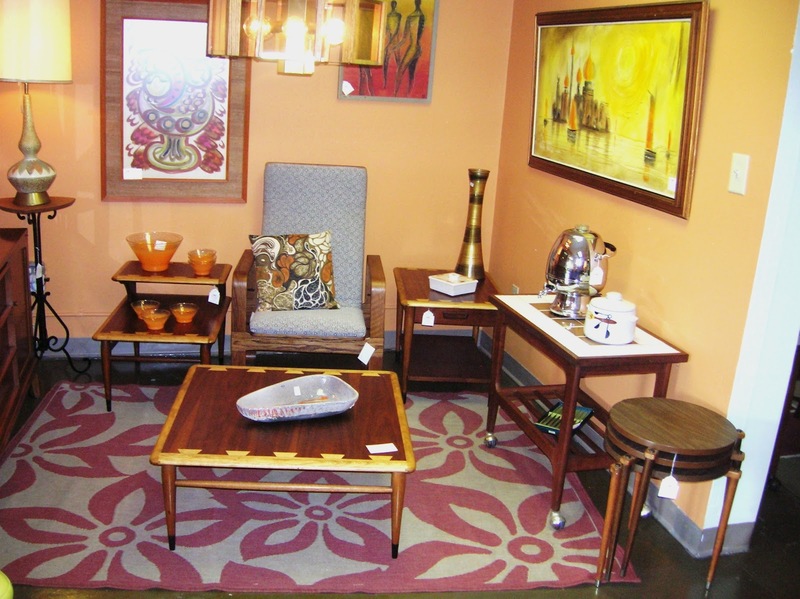 It’s hard to say what has made the Broyhill Brasilia line so popular. 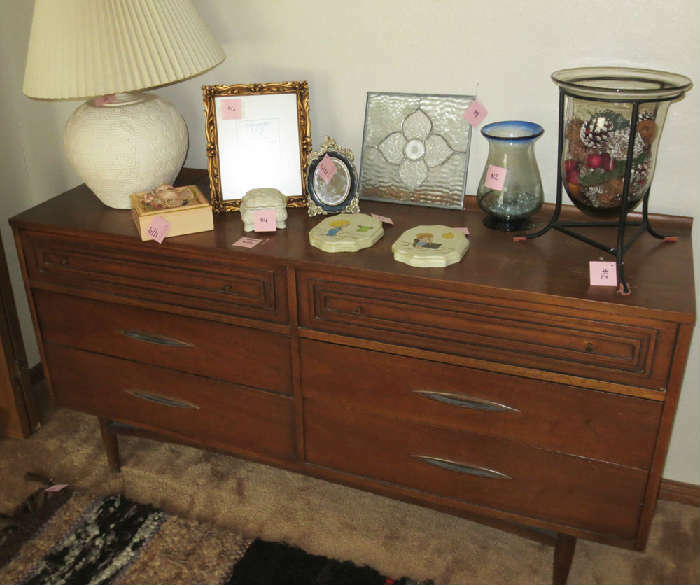 There were a number of Broyhill Premier lines that were produced at the same time using the same frames, but none captured the market like Brasilia. It is such a unique design that was, of course, based upon a world-class architect designs for the then new city of Brasila. But credit must also be given to the Broyhill designers who translated that building design into such a beautiful line of furniture. 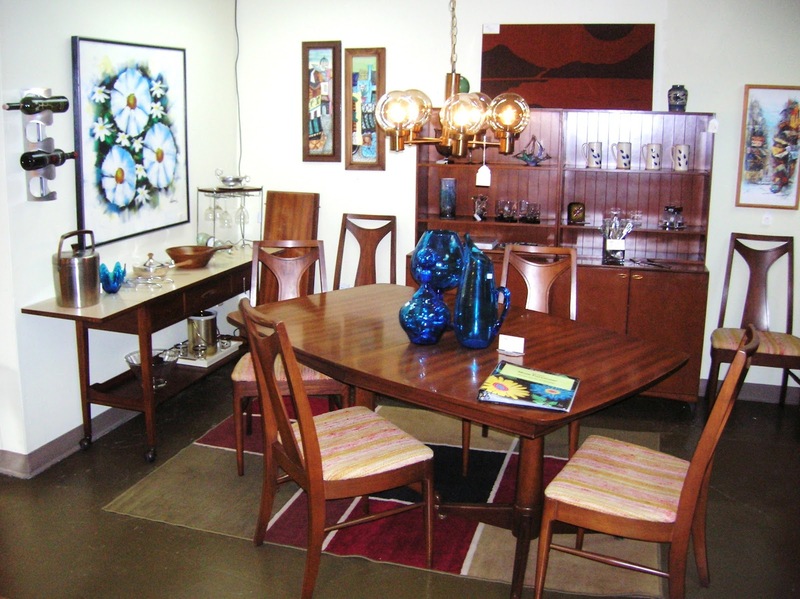 It’s a testament to their ingenuity that Brasilia furniture is more popular than ever nearly half a century later. What pieces do you have in your own home? 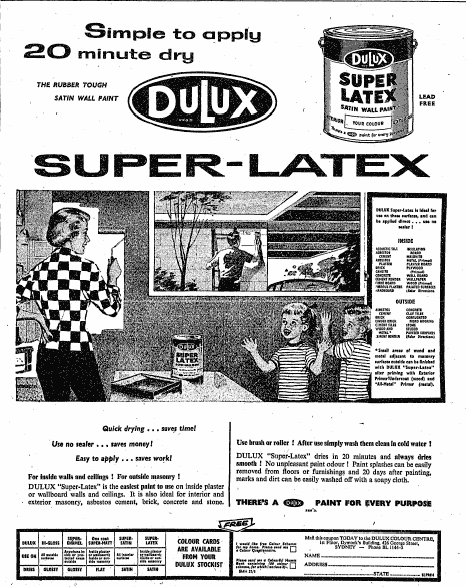 At one time, both of our homes were entirely Brasilia with the exception of upholstered furniture. For the last decade our home was informally called the Brasilia museum. We were even contacted once by Broyhill about coming to visit as they were considering reviving the line. Nothing came of that however. After more than four decades we have changed some of our pieces into a more contemporary design. Do you have a favorite piece from the line? This is a hard question to answer. We love the 72" credenza base with its all-door design. 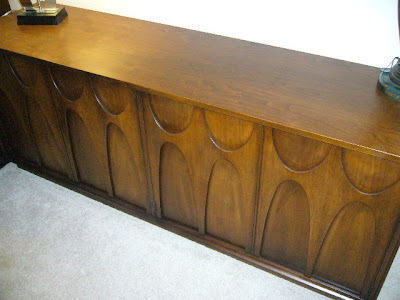 The credenza buffet also remains a favorite with its beautiful vertical lines. Arguably you know more about Brasilia than anyone else. What would the average Brasilia fan be surprised to know about the line? Most folks are unaware that there was a change in production around late 1969. Modifications were made to some, but not all, of the pieces and they were stained darker. This was marketed as Brasilia II. We believe it was an attempt to revive sales, but had the opposite effect. Very little was sold and the Brasilia line was discontinued in its entirety. Brasilia II remains unpopular and we don’t normally buy or sell it. An example of the darker Brasilia II. You sometimes sell the bits and pieces of Brasilia that are usually hard to track down, the hardware and original fabric. Do these come from unsalvageable pieces or another source? We were lucky enough to come across some drawer pulls some years ago from someone who changed the original handles. Those are long gone and we get requests at least once a month for them. We just bought two pieces that were sold the first time to someone who just wanted the handles! We are exploring the possibility of having them reproduced but nothing is firm at this time. We have never had a piece that could not be salvaged. We have taken apart some china tops as more folks just want the base. Those we have pulls for and we've been able to create table leaves from the extra wood. Do you have any other favorite lines of furniture, beyond Brasilia? After more than forty years of nothing but Brasilia in our home, we have added Ocean Club, a Tommy Bahama line made by Lexington. It is comparable in construction to Brasilia and quite attractive. It is very contemporary rather than MCM. 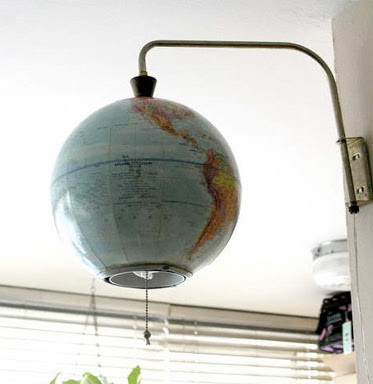 We have found that it works beautifully with our Brasilia. 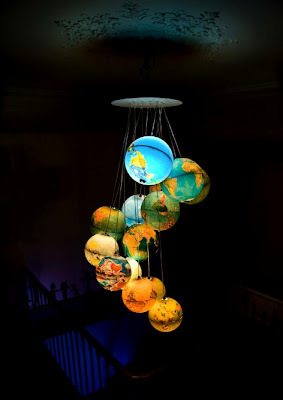 I was scrolling through comments on Mr. Modtomic's blog and came across this incredible globe chandelier. 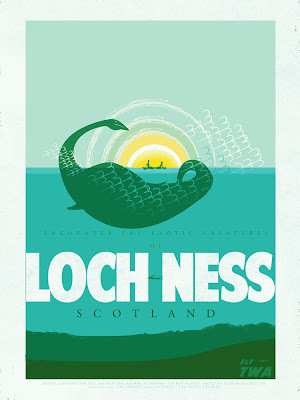 I can't imagine how big your travel-themed nursery would have to be in order for this to fit, but if by any chance it's big enough, I think you should be required to do this. I can't get over how pretty this globe chandelier is. 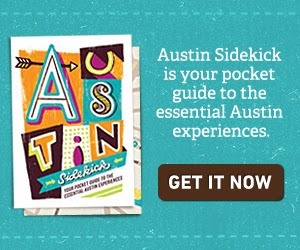 I haven't been to an estate sale in Austin in a while. Between being busy on the weekends, not really needing anything for the house and not seeing any estate sales that had promise, it's been a few months. But one thing got me out early this weekend. 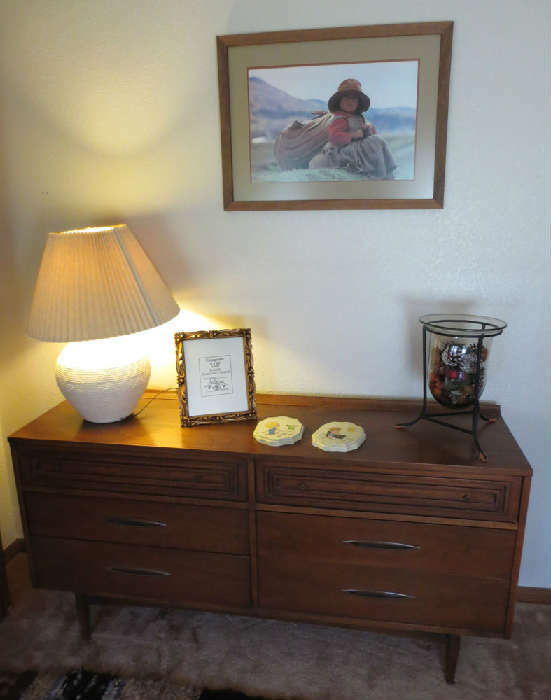 A six-drawer Broyhill Sculptra dresser. I'd be hard pressed to find room for another Sculptra dresser in our place, but I could find it if the price was right. And from the photos online, this one looked in pretty good shape. The price must have really been right because by the time I got to the estate sale, someone else had already bought it and hauled it away. Suspiciously, a Broyhill Sculptra dresser was for sale on Austin's craigslist this weekend — could be a coincidence, could be someone made a quick buck. 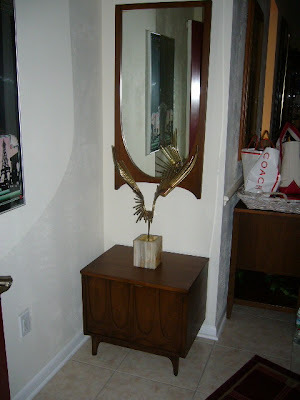 They did leave the Broyhill Sculptra mirror behind. And it was a good price ($45 if you can't read the sticker), but I couldn't figure out where we had room to hang it in our house. So I left it behind for some other lucky buyer. They also had some really interesting silver items, but they were a bit too rich for my blood. On the way home I hit another estate sale. They had plenty of interesting smalls with great graphics. While I didn't pick up any of those items, I did buy a E Weck & Son Sextoblade Style B replaceable straight razor. Ever since my mom gave me my grandfather's vintage shave brush, I've been looking for a ivory colored vintage straight razor to match. And this was the first time I saw one that wasn't going to cost me a pretty penny for something that is going to be used more for display than actual shaving. An added bonus is that I can take out the razors so there's no chance of little hands (that are learning to reach tall shelves) hurting themselves. 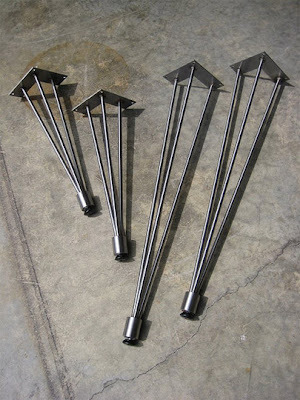 Now that I know all about the history of hairpin legs and the history of three-rod hairpin legs, I got curious if they were still easy enough to find and use in mid-century modern homes. 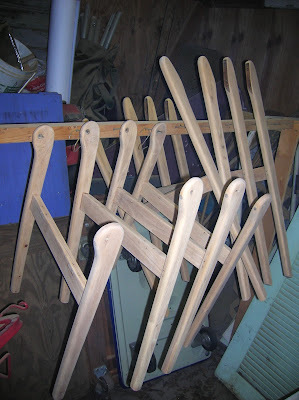 You used to be able to buy hairpin legs at Home Depot and you can still buy them directly from Home Depot's old supplier, Waddell, but selection is pretty limited. 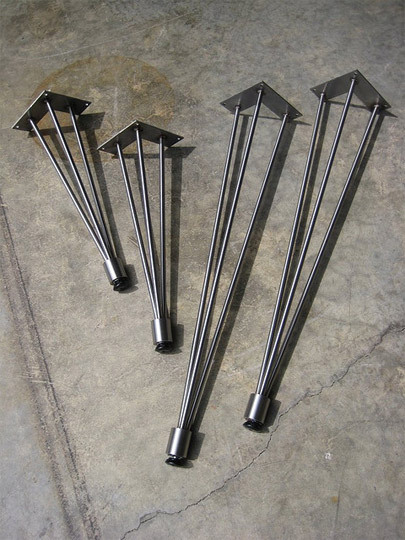 Luckily, there's hairpinlegs.com which has a nice selection of heights of both 3-rod hairpin legs and 2-rod hairpin legs in raw steel and stainless steel. It's the most extensive source of hairpin legs that I've been able to find and if you're looking for hairpin legs, it's probably a good place to start. When I tracked down the history of the hairpin legs I may have stopped before the story ended. I think that is the complete story of the two-rod hairpin legs, but as is often the case with design, where one story ends another begins. 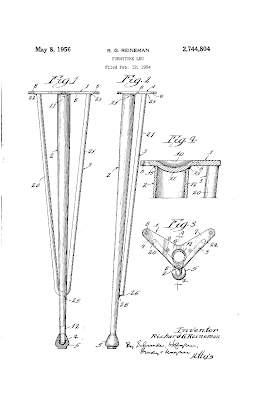 Richard G. Reineman filed for a patent on the three-rod hairpin leg on Feb. 12, 1954 and patent number US2744804 was granted on May 8, 1956 for that design. From the original description on the patent, it seems the original intent of the three-pin hairpin leg was for tables. The invention relates to a furniture leg construction and, more particularly, to a table leg construction having a leg secured to a mounting plate and a U-shaped reinforcing brace connected to the leg and mounting plate for reinforcing the plate. An object of the invention is to provide a new and improved furniture leg. 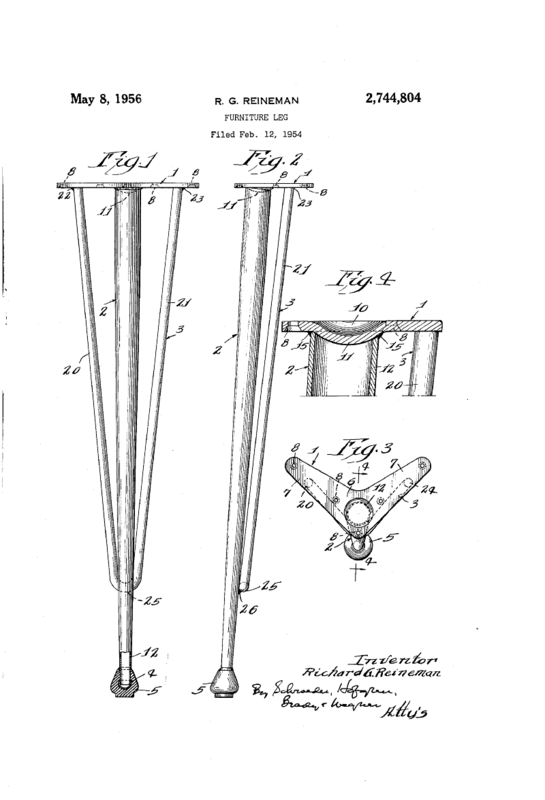 Another object of the invention is to provide a tubular leg having a hairpin-shaped reinforcing brace with it ends connected to the mounting plate for the leg rearwardly and the sides of the upper end of the leg and having its midportion secured to the rear of the leg intermediate the midportion and lower end of the leg. The original two-rod hairpin leg doesn't have a patent, so this might be the first time "hairpin" is used as a defining design element in a patent. The three-rod hairpin leg has move far beyond being just a table leg. It can be found on pretty much any furniture item that need legs, although come to think of it, the table still does seem to be the most popular. Perhaps the appearance of added stability made it a more obvious choice for furniture that needed to support a significant amount of weight. 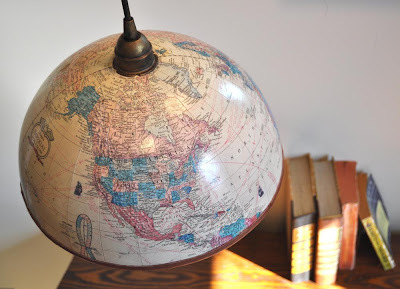 We love the airplane light in our travel-themed nursery, but either of these globe lights would really light up a world travel theme nursery. If you're handy with a drill and hacksaw, these seem like they would be a fairly easy weekend projects. If it's a small travel nursery, it might be too much to also have a globe clock, but if it's a bigger room the globes might tie it together nicely. This time on Vintage Views, we talk with David Call, owner of A Modern Line. A Modern Line is a mid-century modern furniture and mid-century art store in the Historic District of Tampa, FL. And David has probably forgotten more about Heywood-Wakefield than I'll ever know. Tell us a little about A Modern Line. How do you get started in the MCM game? A Modern Line specializes in all things mid-century, pretty much across the spectrum. We tend to focus a little more on affordability over high-end, designer-attributable pieces, although we still find some real jems here and there. It was a combination of that and meeting my wife, who has been in the vintage clothing and collectible business forever. Her brick and mortar store's 15th anniversary is coming up soon and she has been instrumental getting A Modern Line off the ground. I had a lot of pieces that I'd refinished and rehabilitated as a hobby that were stacking up faster than we could sell them through my wife's store, so it just made sense to move in this direction. 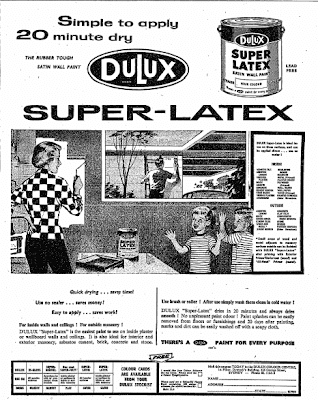 You recently refocused your efforts to solely to mid-century, under the new store name of A Modern Line. How's that adjustment going? We originally opened in January of 2011 with a partner that was a professional interior designer and were under the banner of Kaleidoscope for the Home. 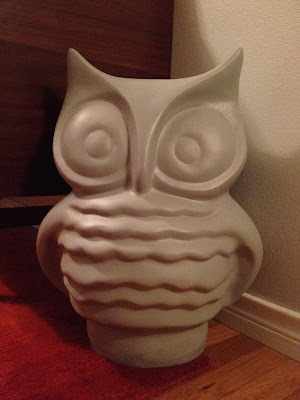 Although we carried a lot of mid-century and there was a good response, the store was getting a bit too cluttered and I felt it was hurting sales. MCM needs some space to display it correctly, without being overdone. We split our partnership in January 2012 and re-opened under A Modern Line in February and the response has been great. The overall feel of the store is a lot cleaner and more stripped down than before, and customers know what to expect when they walk in the door. It's certainly been a draw for customers, sellers and consignors. Do you have a specialty within mid-century, or do you buy/sell anything mid-century? Although I specialize in Heywood-Wakefield Modern Line furniture we have some of everything in the store, even a few modern pieces that work well with our regular inventory, although I try to keep them to a minimum. Every time period from the the late '40s through the early '70s has it's own following and we try to keep a nice mix in house. We decorate in different vignettes around the store and pull together pieces and accesories accordingly. You also offer refinishing and rehab services. How and why did you start offering those services? My Heywood-Wakefield passion started about 11 years ago when I purchased a Heywood-Wakefield dining table and four chairs and inquired about having it refinished by a (supposed) Heywood-Wakefield specialist. I almost fell over on the price quoted and decided I would give it a shot myself. It turned out to be a big learning curve, very labor intensive and I didn't have access to the correct finishes. I was also working with very limited tools, just an old electric pad sander and hand tools. But it turned out pretty well and we sold it quickly in my wife's store for a nice profit. I fell in love with the construction and quality of the pieces and how simply and efficiently they were made. Since that starting point, I've accumulated all the tools needed to make the process as easy as possible and, just as importantly, the correct finishes. I've come miles in experience since that first attempt. I'll be the first to tell you that I'm not a full-blown professional refinisher and I'm careful how I pick my battles, especially with customers pieces. However, I'll happily take on any Heywood-Wakefield problem pieces as I've been able to save some very badly abused candidates. Do you have a favorite finish in general? And with Heywood Wakefield, are you a wheat or champagne man? I love all the darker mid-century walnut veneers and you can't beat a nice, vintage, Danish-oiled teak. I personally like the champagne finish on Heywood-Wakefield a little better than the wheat, and it tends to sell a bit better too. But I have customers who are big wheat fans and don't care for the champagne. I normally only offer the wheat and champagne finishes for Heywood-Wakefield, however I have redone some pieces in darker finishes at customers' request. I do advise them before refinishing that this is not going to help the resale value if they intend to ever resell the piece. And speaking of your masterful refinishing jobs, any tips for someone trying to get a scratch out of their favorite piece? It's difficult to just touch up most pieces of Heywood-Wakefield; most need a complete refinish to bring them back to life. If indeed you have a piece of Heywood-Wakefield that is in really good condition except for a couple of minor scratches then I would recommend one of the lighter Restor-A-Finish products. I'm also a big fan of Howards products for DIY projects that just need a little cleaning up. I've used their products for years and we sell them here at the store. I also utilize furniture touch up markers for light spots, they are available from many sources, but I personally use Mohawk products. Where do you find most of your furniture and how often do you get new things in? I don't get out to the estate or auctions, although I know a lot of dealers that work these venues to pick up some nice pieces. Most of the better deals I end up buying come from individuals walking through either my or my wife's door. I also have pickers that come to me with a deal from time to time that I find hard to pass up. I will check the local Craigslist periodically if I need something more specific and we do get out to the thrifts and antique malls from time to time. Have any tips or secrets for people doing their own hunting at estate sales, etc? Educate yourself on what your looking for. If you don't know what you're looking for, you'll never find it. If you're hunting your local Craigslist postings, you'll find the bargains generically listed and not under a MCM listing. Antique malls can produce some really nice finds, as true antique dealers have little love for MCM items and want to move them. What's your favorite piece that you've had in the store? That's a tough one to answer. Several of the Heywood-Wakefield pieces and a couple of the Aritocrat sofas. A GE Granville low-profile console stereo in working condition. 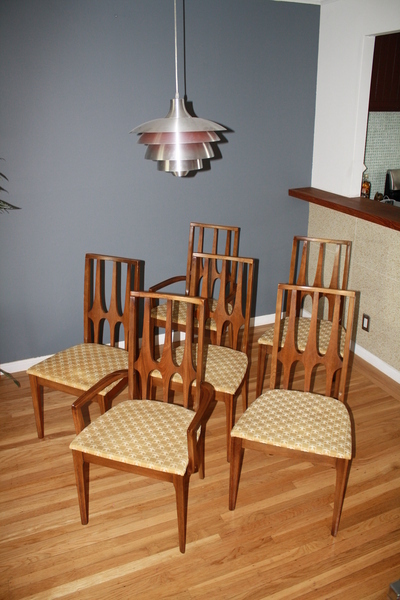 But, close to the top of the list, a pair of locally made Foster-McDavid scoop chairs from the 60s with matching ottomans that I had rehabbed. 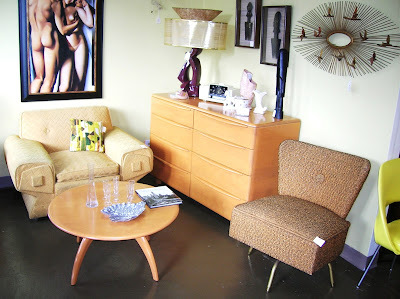 If you're in Tampa and looking for a deal on mid-century furniture, you should head to A Modern Line.